The health of the gut profoundly influences the health of the brain. Studies link gut problems with depression, mood disorders, schizophrenia, Parkinson’s disease, memory loss, and brain lesions. This may come as no surprise if you have found certain foods alter your mood, personality, focus, or concentration. Gut flora, the several pounds of bacterial organisms we carry in our intestines, affect brain chemistry and imbalances can cause depression and psychiatric disorders. Poor diets, stress, excess sugars and carbs, repeated antibiotic use, and other factors tip the balance of gut flora so that harmful bacteria outweigh the beneficial. Intestinal permeability, or leaky gut, is a condition in which the walls of the intestine become inflamed and porous, allowing undigested food, bacteria, toxins, and other antigens into the bloodstream. This provokes the immune system and causes inflammation throughout the body. Leaky gut can also cause brain inflammation and has been linked with depression and autoimmunity. How do you know if you have leaky gut? You may have mild to moderate gastrointestinal symptoms, such as such as bloating, gas, abnormal bowel movements, systemic inflammation, and food sensitivities. You may also have developed reactions to foods that include skin rashes, headaches, abdominal pain, joint pain, body aches, swelling, or bloating. If leaky gut is inflaming the brain, this may cause depression or brain fog, thanks to decreased nerve conduction. Systemic inflammation from leaky gut can impact energy levels and cause fatigue, poor muscle endurance, or poor recovery from injuries. Or perhaps the inflammation is perpetuating pain from a previous injury and you have trouble healing. It’s also important to know many people with leaky gut have no intestinal or inflammatory symptoms, especially if they already eat a healthy, non-inflammatory diet. Therefore, leaky gut should always be considered for anyone with brain fog, persistent depression, chronic systemic inflammation, or any autoimmune condition—even if you don’t have digestive symptoms. Although a variety of factors contribute to leaky gut, diet is paramount to repairing it. Unwinding leaky gut consists of following a restricted diet and taking nutritional compounds that help reduce intestinal inflammation and repair the intestinal membranes. You will need to follow the diet religiously. I admit these gut-repair diets can be difficult and make you feel left out and deprived, especially in social situations. However, many people struggling with chronic autoimmune disease whose quality of life is seriously compromised have found it’s a small price to pay for getting their health back. The length of the program can vary. The average leaky gut program will take 30 to 60 days. However, if you have an autoimmune disease or celiac disease, staying on the diet and nutritional support long term provide the best outcome. People with autoimmunity will struggle to varying degrees with intestinal permeability throughout their lives. There is no exact and predictable time frame for leaky gut support. If you do not have obvious symptoms, the only way you can be certain is with lab testing before and after the program. Eat regularly and do not allow yourself to become overly hungry—stabilizing blood sugar is a primary aim to avoid the stress of low blood sugar. For more resources supporting this diet, visit my web site. High-glycemic fruits: watermelon, mango, pineapple, raisins, grapes, canned fruits, dried fruits, etc. Dairy: milk, cream, cheese, butter, whey, etc. Soy: soy milk, soy sauce, tofu, tempeh, soy protein, etc. Instant coffee: Many brands of instant coffee appear to be contaminated with gluten. It’s important to eliminate it to be sure it’s not an immune trigger. When confronted with this diet the first thing people ask is what can they eat. In fact you’ll be eating the way people ate for most of human history—there’s plenty of food that doesn’t come from a factory or an industrialized farm. Most vegetables (except tomato, potatoes, and mushrooms): asparagus, spinach, lettuce, broccoli, beets, cauliflower, carrots, celery, artichokes, garlic, onions, zucchini, squash, rhubarb, cucumbers, turnips, and watercress, among others. Fermented foods: sauerkraut, kimchi, pickled ginger, fermented cucumbers, coconut yogurt, kombucha, water kefir, etc. You will probably need to make your own or buy one of the few brands that are genuinely fermented and free of sugars or additives. Also, search for information about anaerobic fermented foods in air-tight containers. These ferments do not produce histamines that some people react to (including rashes, digestive upset, inflammation) in aerobic, or open, ferments typically using mason jars. Meats: fish, chicken, beef, lamb, organ meats, etc. Best choices are grass-fed and pastured meats from a local farm. Second best is organic. Avoid factory-farmed meats that contain antibiotics and hormones. For a source of good meat near you, contact your local Weston A. Price chapter leader or farmer’s market. Low-glycemic fruits: apricots, plums, apple, peach, pear, cherries and berries, to name a few. Fortunately, ample support exists on the internet today. There are online “tribes” for many variations of this diet. They include Paleo, primal, GAPS, SCD, and more. Many, many people have adapted some version of this diet and are happy to help and support others. I don’t like to give hard and fast rules as to what to eat or how many grams of carbs to eat beyond the guidelines in this chapter. Your health and your symptoms are the best feedback—getting trapped in dogma or group-think can sabotage your ability to monitor your body and how it responds to the foods you eat. I do like people to pay attention to their blood sugar symptoms and markers and keep blood sugar stable, often a good basic guideline with which to start. This diet can seem daunting at first, and planning is essential to success. You must have the right foods on hand at all times. It is difficult to find recipes that accommodate all the restrictions, however I have found an online menu planning service that provides five weeks of menus and shopping lists. They are created by Sarah Schatz of Allergy-Free Menu Planners. 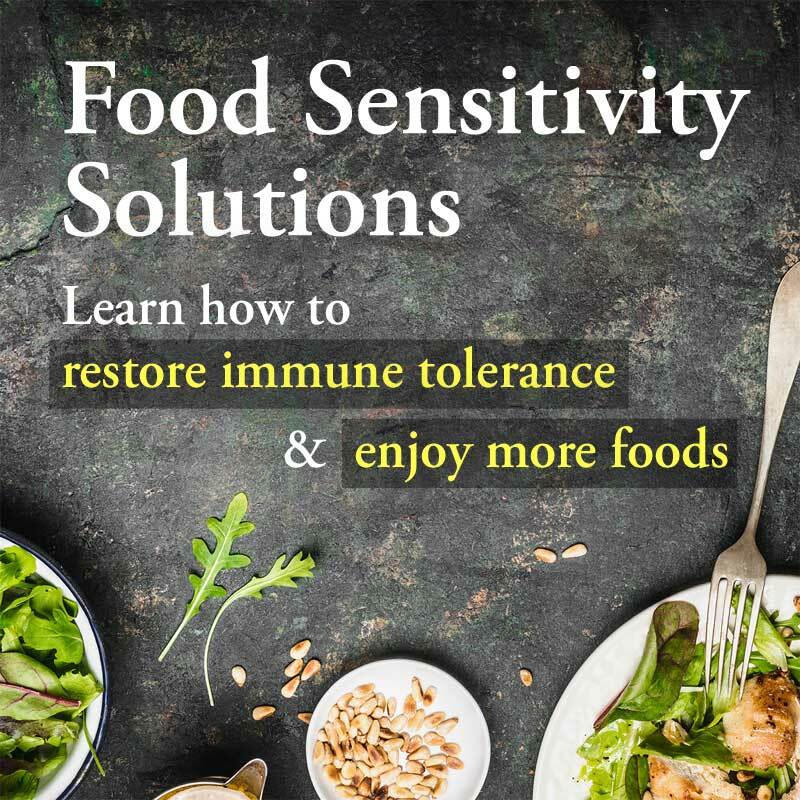 Also, there is a new cookbook on the market geared toward this diet called the Autoimmune Paleo Cookbook by Mickey Trescott, developed to meet all the criteria of this diet by someone who follows it herself. The emphasis of the leaky gut diet is on reducing intestinal inflammation and repairing the intestinal membranes. The literature shows a variety of botanicals and nutritional compounds restore and maintain the intestinal lining. They support tissue during intestinal inflammation or discomfort, help regulate the enteric nervous system and motility, and support the secretion of digestive enzymes. These nutrients can be taken therapeutically for anywhere from a few days to a few months, depending on the severity of the gut permeability. The time each person should be on a gut-repair diet and protocol depends on the individual and his or her circumstances. There isn’t a time period set in stone; it depends on when you start to see symptoms diminish and disappear. A person with severe issues may need to adapt it for months or longer. 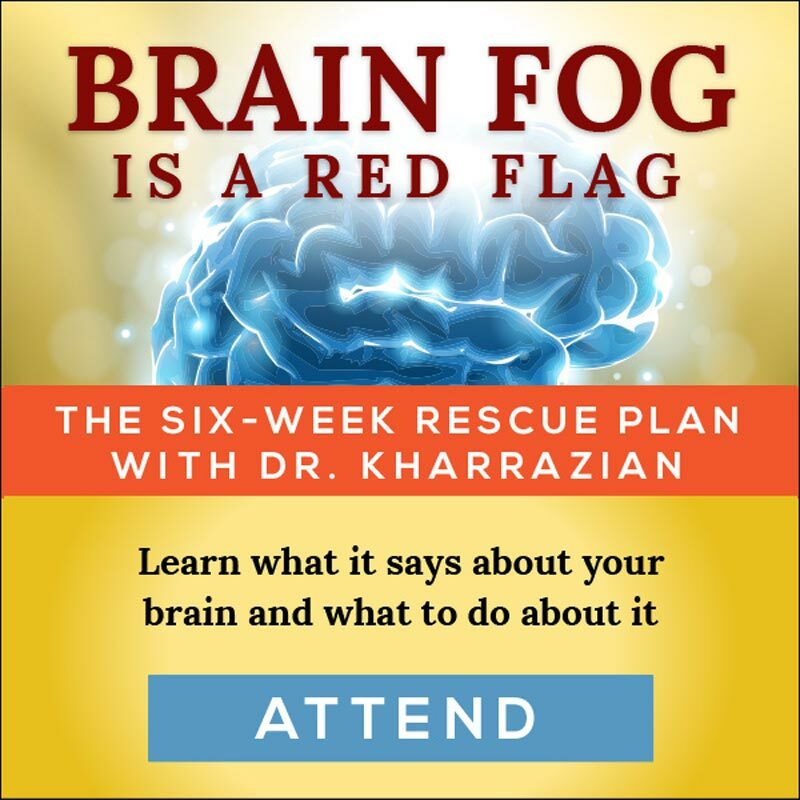 For more information on nutritional support, refer to my book Why Isn’t My Brain Working? Subconscious beliefs aside, many are pleasantly surprised to find cravings and obsessions with food diminish or disappear once they remove immune reactive foods, stabilize blood sugar, and eat a nutrient-dense diet. Make sure you don’t allow yourself to get too hungry or hypoglycemic by including sufficient fat and protein in your diet. Also, cravings are often a disguise for thirst, so stay hydrated and add electrolytes to your water if need be. For this diet to be successful it’s extremely important to pay attention to blood sugar symptoms, keep blood sugar stable, and be aware of which foods trigger your symptoms. These are always good basic guidelines with which to start whether you are waiting to work with a practitioner or are going it alone. I am working on a book dedicated to leaky gut, gluten, and autoimmunity that I hope to have done by the end of 2013.